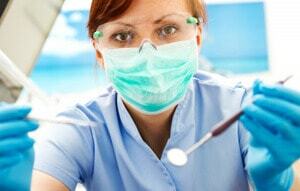 Over 50% of the people in the U.S. don't go to a dentist on a regular basis. The major reason is that they are absolutely frightened. We have heard every excuse, but the fact is you will eventually need to visit a dentist. The longer you wait, the worse potential conditions can get and the more expensive it will be to fix dental health problems. For your comfort, Greene Comprehensive Family Dentistry is pleased to offer two types of sedation dentistry at our Ruckersville office. A lot of dental offices use terms such as "sleep dentistry" or "twilight sleep" when talking about IV sedation dentistry. This is confusing, because it suggests that IV sedation involves being put to sleep. In reality, you remain conscious during IV sedation and throughout the dental procedure. You will also be able to understand and respond to requests from your dentist. However, you may not remember much about your appointment due to two factors. In most people, IV sedation induces a state of deep relaxation and a feeling of not being bothered by what's going on. Furthermore, the drugs used for IV sedation can produce either partial or full memory loss (amnesia) for the period of time when the drug first takes effect until it wears off. As a result, time will appear to pass very quickly during your dental appointment and you will not recall much, or perhaps anything, about your visit. So it may, indeed, appear as if you were "asleep" during the dental procedure. Oral conscious sedation, very simply put, allows you to take a pill or two, making you VERY relaxed........and your dentistry can be performed with more psychological comfort. With this type of sedation dentistry there is a state of very deep relaxation as a result of oral medication. You can still speak and respond to the requests of your dentist. The type of sedation medication used for sedation dentistry or "Conscious Sedation" has an amnesic effect for some patients and they will remember virtually nothing about their dental appointment. A consultation visit with our Ruckersville dentist is required prior to sedation dentistry appointment.